Looking for Indoor Pools in Spain? A lot of of them belong to gyms or sport centers which also offer you lessons. For Spain and its vicinity, we're showing you all of the registered Swimming Pools, some of them have no GPS coordinates and you are not getting them at the map. Not all countries would be the same, and swimming regulations and rules are changing from one country to an additional. 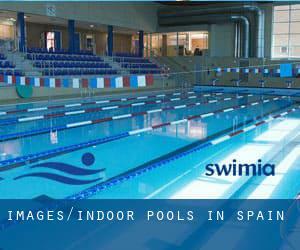 Swimia.com has probably the most up-to-date database about Indoor Pools in Spain. Are you on holiday and want to maintain fit and healthy? Swimia.com provides you the easy and quickest method to uncover pool near Spain. Regular users told us one of the most necessary thing of swimming would be to control your breathing. To get this, our head will need to be aligned with our spine all the time. Swimming is really a wonderful idea to help keep your body active in the course of your visit to Barcelona (Spain), or even should you be a local. Swimia helps you to find your closest Swimming Pool in Barcelona. It's difficult to visit Spain with out dropping by Madrid (with 3.255.944 residents). Presently Swimia is showing you all the Swimming Pool in Madrid and the closest pools situated in its vicinity. Holding an estimated population of 814.208, Valencia is among the most important cities in Spain. Check all the Swimming Pool in Valencia and its surrounding area. Without a shadow of a doubt, swimming in Seville is the best option to unwind after function. Take a couple of minutes to browse Swimia's catalog to find a Pool in Seville. Updated on 2019 Calle de Guatemala, 15, 28016 Madrid, Madrid, España. This sports center provides 25 meters, Indoors. Contact information for this Swimming Pool such as phone number and email address are number. Updated on 2019 Avinguda Baix Llobregat - C/Sorral del Riu. Few days ago a regular user of this center told us they offer 25 meters, 5 lanes, Indoors, Outdoors. Furthermore, they keep in good conditions 25 meters, 1 lanes. For this Swimming Pool, only phone number is number here. Updated on 2019 C/ Bedar s/n 04008 (Almería). This sports center provides 25 meters x 10 meters, 5 lanes, Indoors. Contact data for this Swimming Pool such as phone number and email address are number. Updated on 2019 Puerto Rico s/n 47014 Valladolid.. Swimmers like you reported 25 meters x 12.5 meters, 6 lanes, Indoors. Phone number and e-mail address are number for this Pool. Updated on 2019 Parque San Diego, s/n 15006 A Coruña. Among all of the activities supplied by the center, if you are interested in swimming you will appreciate 25 meters x 15 meters, 8 lanes, Indoors. If you need to contact this Swimming Pool, e-mail address and phone number are both number. Updated on 2019 Paseo de la Julia s/n 34004 Palencia. Among all of the activities supplied by the center, should you be enthusiastic about swimming you may enjoy 25 meters x 12.5 meters, 6 lanes, Indoors. If you need to get in touch with this Swimming Pool, e-mail address and phone number are both number. Oviedo. Swimmers like you reported 25 meters x 12.5 meters, 6 lanes, Indoors. Phone number and email address are number for this Swimming Pool. Updated on 2019 Paseo Joan de Borbo, 93 , Barceloneta , Ciutat Vella , Barcelona , Spain (Postal Code: 08003). Swimmers like you have reported 25 meters, 25 lanes, 2m depth, Indoors, Outdoors, Salt Water. Also, you will find 5 meters, 1 lanes, 1.20m depth. If you will need to get in touch with this Swimming Pool, email address and phone number are both number. Updated on 2019 C/ Ciudad Real s/n 29680 Estepona (Málaga). Among all of the activities supplied by the center, should you be enthusiastic about swimming you may enjoy 25 meters x 12.5 meters, 6 lanes, Indoors. If you need to get in touch with this Swimming Pool, e-mail address and phone number are both number. Sevilla. This sports center gives indoors. Updated on 2019 Plaza de Concha Heres 6 33010, Oviedo (Asturias). Swimmers like you reported 25 meters x 10 meters, Indoors. Phone number and email address are number for this Swimming Pool. Updated on 2019 Bonavista, 7008940 Cornellá de Llobregat, Barcelona. This great and large sports center lets professional swimmers like you enjoy 25 meters, 1.90m depth, Indoors. Additionally, within these facilities you can try 11.50 meters, 0.50m depth. Phone number and e-mail address are number for this Pool.